A lot of ghost stories have been told at and about Fort Monroe, a former active Army installation in Hampton Roads, Virginia. One in particular conjures up kings, knights, castles and tales of fire-breathing dragons. 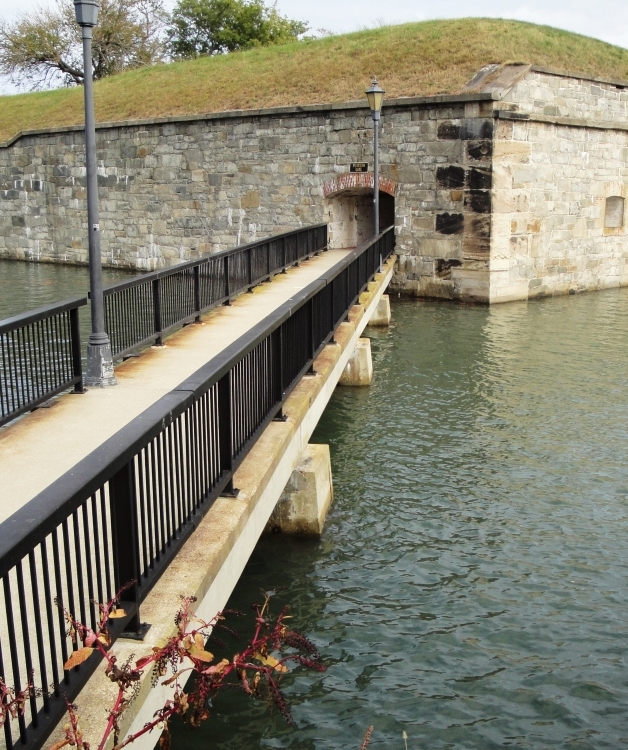 Since Fort Monroe is the oldest stone fort in the United States with a moat, a story circulated centuries ago about a sea creature’s ghost being seen in and around the moat waters that stretch more than a mile around the old fort. Sometimes called a serpent, and even a dragon, the huge creature is mostly known as the moat monster. An account of his existence was written about in “The Ghosts of Fort Monroe” by Jane Polonsky. According to one account in the book, the moat monster appeared to a colonel who lived in a duplex on Ingalls Road that is backed by the moat. The colonel was walking his dog late one night when his attention was drawn to something in the moat waters. The thing was big and swimming back and forth across the moat. The colonel followed its progress to the footbridge which was closed for repairs at the time. It was there that the thing vanished. The moat monster is a mystery whether it existed or not, but a specific sea serpent has been created to offer children fun experiences with a lovable creature and his friends. “Monroe” the moat monster’s story begins with his birth at the fort in the early 1800s. As with the ghost lore of the historic fortress, Monroe brings a bit of whimsy from bygone days. The first book, “The Legend of Monroe, the Moat Monster,” introduces the sea creature while offering photographs taken at Fort Monroe and surrounding areas. The pictures set the stage and show the environment of the real moat and the Chesapeake Bay where most of the story unfolds. This book and all books in the series will have a page dedicated to a historic site at Fort Monroe.